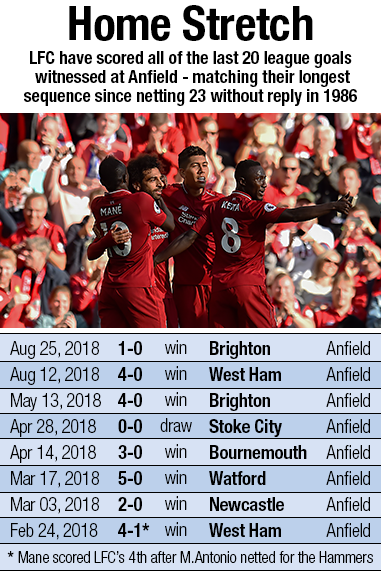 Liverpool can set a new club record with victory over Southampton in their Premier League clash at Anfield on Saturday. The Reds beat Paris Saint-Germain in the Champions League in midweek to extend their 100 per cent winning start to the season to six games across all competitions. That equalled the club's previous best start to campaign in 1961-62, when Bill Shankly's Reds won the first half-dozen fixtures en route to winning the Second Division. 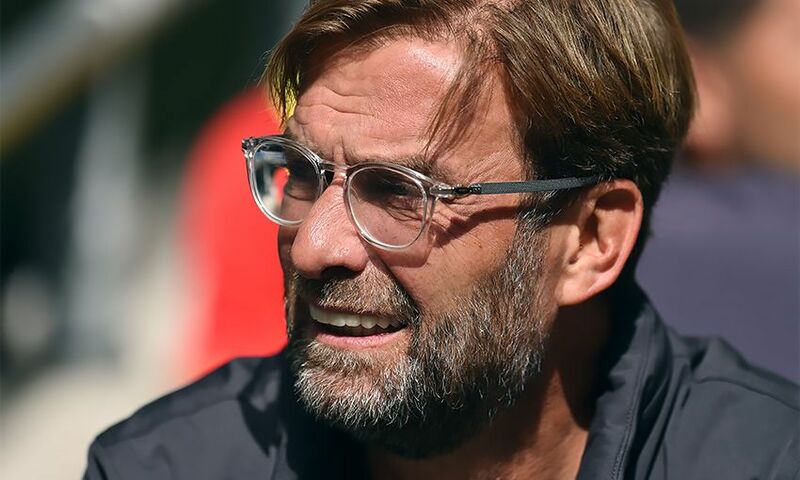 Therefore, victory over a Southampton side who lost 3-0 in the equivalent fixture last season will set a new landmark of seven consecutive opening wins in all competitions for Jürgen Klopp's men. The sides have met 38 times in the Premier League, with Liverpool winning 18 and drawing 10. At Anfield, the Reds have prevailed in 10 clashes and lost three, with six draws. The Saints have not scored against Liverpool in the last four top-flight meetings. Their last goal came from the left boot of certain Sadio Mane as former club Southampton came from two down to win 3-2 in March 2016. Liverpool have not conceded in their last seven home league games. It is their longest sequence without doing so at Anfield since a run of nine in 2006-07. It is 661 minutes since a visiting team last recorded a league strike at Anfield - West Ham's Michail Antonio scoring back in February. Only three of the 54 Anfield clashes with Southampton in all competitions have failed to produce a goal - league meetings in February 1992, May 2000 and May 2017. 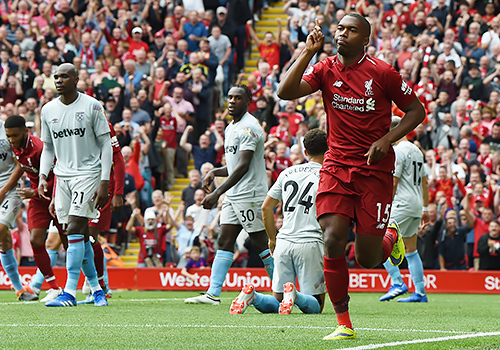 Daniel Sturridge requires one goal to reach the landmark of 50 in the league for Liverpool. In the last 33 games that Mane, Roberto Firmino and Mohamed Salah have started for Liverpool, they have netted 67 goals between them. Mane is two strikes short of recording 50 in the Premier League in his career so far with Southampton and Liverpool. Salah needs two goals to record 50 in all competitions with English clubs. If Firmino finds the net, he will have netted in four successive Liverpool games for the first time in his career. Klopp's Reds are the first team for 110 years to have won their opening five top-flight league games and not be top of the league, due to Chelsea having a better goal difference (one goal). Current Saints boss Mark Hughes has won three of his 23 career league games as a manager against Liverpool. Today, Hughes will take charge of his sixth different club against the Reds. He has never won in 11 league visits to Anfield as a boss, drawing four and losing seven.